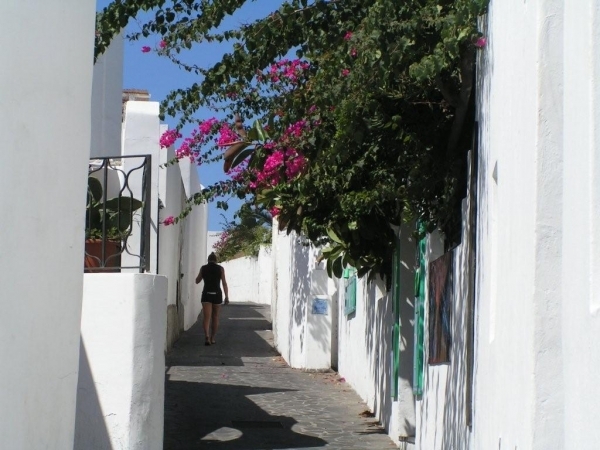 The slopes of Stromboli are covered by a lush green mantle, from which the typical white houses, that still reflect the old Aeolian style, stand out. Stromboli is a large center, divided into the districts of Scari, San Vincenzo, San Bartolo, Ficogrande and Piscità. It is crossed by a low road that follows the coast and an interior road in the upper part of the village, linked together by a series of side streets and country lanes. 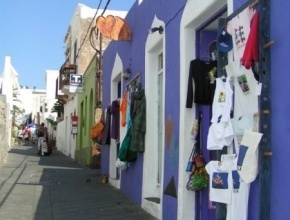 The district of Scari, an ancient settlement and present-day village of fishermen, is the first and essential stop over for guests of the island. It also harbors a marina and is the starting point for boat excursions. Scari, with its typical black beach of pebbles and sand, surrounded by lavic rocks which plummet into the sea, is extremely attractive and make it a must of the island. Scari is the tourist center of Stromboli, an animated village in the summer months, with its narrow streets, shops, boutiques and typical Sicilian crafts.A multitude of bars, pastry shops and romantic restaurants with terraces overlooking the sea, line the streets and offer a place where you can enjoy the typical cuisine of Stromboli or delicious dishes based on fresh local seafood. - Electric taxis, boat and canoe rentals, diving, mooring facilities for hire, windsurfing, bicycle and electric scooter rentals, guide bookings for the trek to the crater at night. - Excursions by boat around the island during the day (with a stop at Strombolicchio and Ginostra) and "Sciara del Fuoco" at sunset. From Scari, walking for about 200 meters along Via Roma, the main street of Stromboli, you reach Piazza San Vincenzo, dominated by the homonymous eighteenth-century church. You also come closer to the volcano. 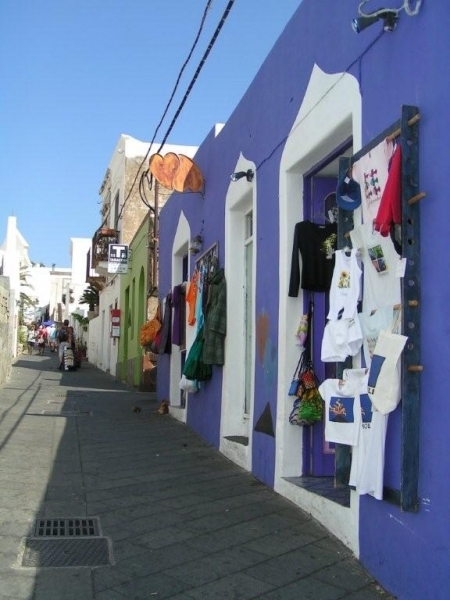 Climbing up towards the square, you find various shops and colorful boutiques that sell: island-inspired arts and crafts, handmade jewelry made of "obsidian", personalized T-shirts with island-inspired motifs, your pick of sarongs, dresses and costumes, all in the Aeolian theme. The Square is the crossroads where all come together: a meeting place in front of a breathtaking view, which on a clear day goes so far as to Calabria, with Strombolicchio in the foreground. Beyond the square, Via Roma becomes Via Vittorio Emanuele and continues through fields and villas to the Church of San Bartolo. Right at the beginning of Via Vittorio Emanuele, on the right, a plaque on a red house points out where Ingrid Bergman lived during the making of Rosselini’s film. On Via Vittorio Emanuele you also find a lovely bookstore, a bit small but well stocked. The small garden which opens onto the back is often the setting for cultural events and film screenings. A small lane starts from Via Vittorio Emanuele and descends towards Piscità, the nucleus of which contains some of the most luxurious houses built. 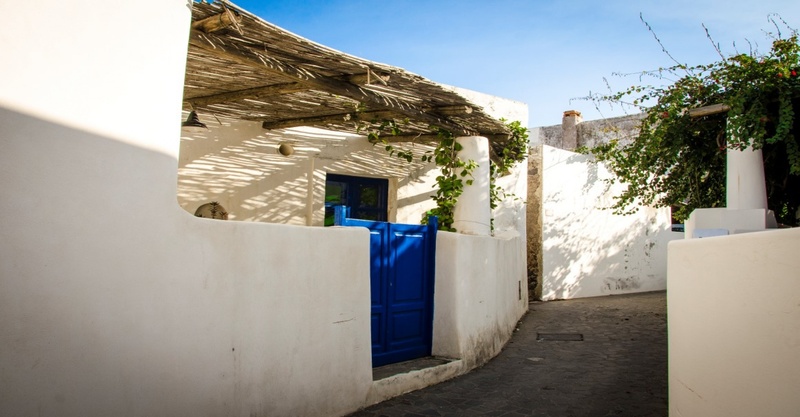 Ever since the 1950s, following the success of the film by Rossellini, the houses were bought by foreigners and later on by some celebrities that had them renovated. There are numerous beaches and coves: the Grotta di Eolo (Grotto of Aeolus), beautiful at sunrise and then Cala Lunga, a black fine sand beach, which hides Punta Frontone behind it and is magnificent at sunset. 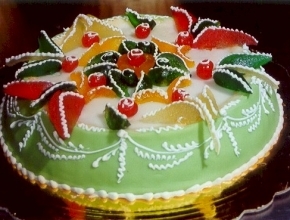 The typical cuisine of Stromboli is based on the use of simple, genuine and above all local ingredients. Almost all dishes in fact provide the use of anchovies, capers, olives and herbs. Among the typical dishes we find "spaghetti alla strombolana" based on olives, capers, anchovies, mint, wild fennel, tomato sauce and lots of red pepper; fish ravioli with a delicate filling; meatballs in fish broth; regular pasta with aubergines, tomatoes and baked ricotta, swordfish rolls stuffed with a tasty filling of capers and finally almond or pistachio semifreddo, Sicilian cannoli and many other specialties.